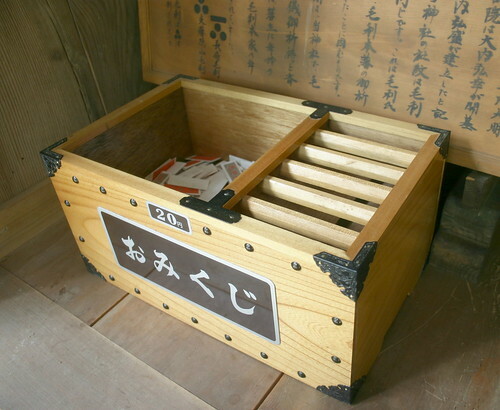 Small paper fortunes, like fotune cookies without the cookie, on sale for 20 yen (about as many cents, or 10p UK) at Nisho Yamada shrine in Kano Yamaguchi. Fortunes work, I believe, since either they are sufficiently vague for us to interpret them according to the desires and predictions of our subconscious, or when they really do not fit, our subconscious tells us that they do not fit. So fortunes give voice to the subconscious. And perhaps the subconscious is the spirit.